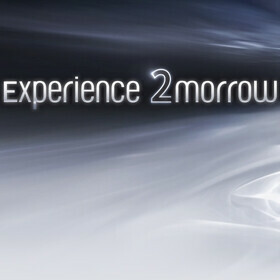 Asus revealed that its CES 2015 press conference will take place on January 5 (one day before the tech show actually begins), when we’re invited to “experience 2morrow.” The event will be live streamed via Asus’ official website. We already know that, among other things, Asus will announce new ZenFone smartphones at CES 2015 - including a 5.5-inch model. While some of the new ZenFones will be powered by Intel processors (just like the current 4-inch, 5-inch, and 6-inch models), others will apparently rely on chipsets made by MediaTek. The Intel-based ZenFones should all feature LTE connectivity, having prices starting at around $300. The MediaTek-powered models will be cheaper, and it’s said that Asus intends to sell them in China and other emerging markets. Intel itself is confirming (see the second source link below) that new LTE ZenFones are coming to CES 2015. Asus may sell a total of 8 million smartphones this year, and expects to double sales in 2015. We’ll have to wait and see if it manages to do that. Glad to see Asus continue to make some good value phones, even if they have Evil Inside :) Hopefully they can sell these new phones directly to consumers in the US. In the past, it has been more difficult than it should be to buy ZenFones. At the time of announcement, the (current) zenfone series should have a price cut. They're decent by the way. mediatek, no thanks asus. I went Lumia and HTC and couldn't be happier.